Hate rushing between different banks or offices to pay your bills? Or maybe you loathe dealing with overdue bills and disconnection notices? Good thing, bills payment centers are accessible to Filipinos who need to settle their utility, government, and credit card bills all at the same time. 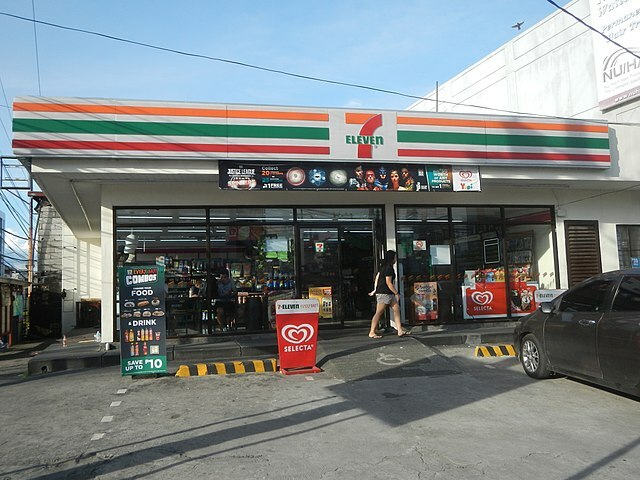 These one-stop bills payment facilities are located in malls, supermarkets, convenience stores, and commercial buildings in cities and even in remote towns. They also provide other financial services such as money remittance, money exchange, e-loading, and airline ticketing. Sure, paying bills online is the faster option. But some people still prefer to pay their bills in cash or check over-the-counter. Are you an expat, a newly independent young professional, or a regular folk who’s recently moved to a new place? 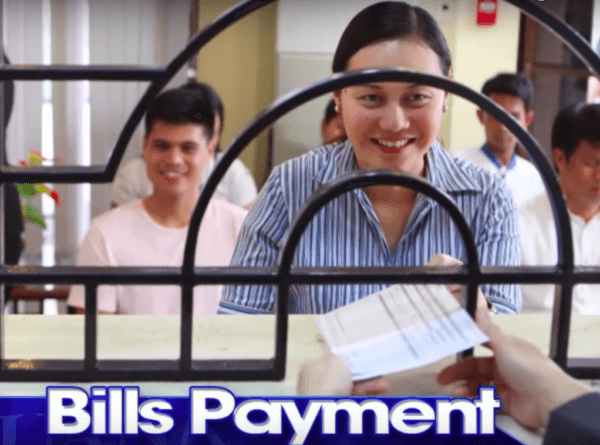 Here are the things to know about the largest bills payment centers in the Philippines. 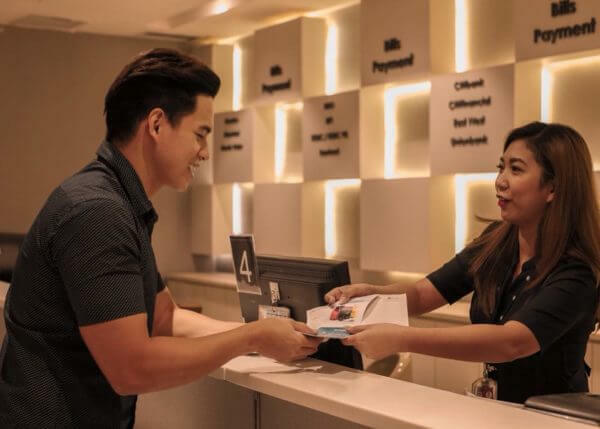 Bayad Center is the largest bills payment center in the Philippines with more than 12,000 branches in malls, supermarkets, rural banks, pawnshops, and select Ministop branches nationwide. The company has recently launched a mobile app to make bills payment more convenient for its customers. The Bayad Center Mobile app allows you to pay bills anytime and anywhere using your smartphone. But if you prefer to pay over-the-counter rather than online, the mobile app is still useful because it can send you a reminder for your due dates and show you the nearest branches. Bayad Center office hours vary per location. Most branches are open on Mondays to Fridays from 8 am to 5 pm. Others are open as early as 7 am on weekdays. Some locations also operate on weekends and holidays. 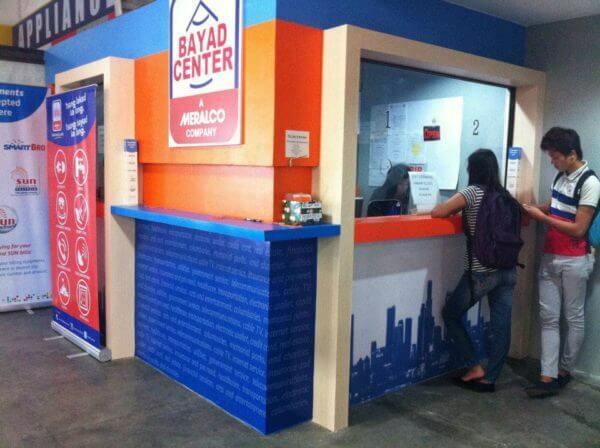 Bayad Center branches in malls usually operate from 10 am to 6 pm seven days a week. All Bayad Center offices accept cash payments. Some branches also allow payments via check or credit card. Electricity: Meralco (accepts late payments without disconnection notice), BENECO, VECO, ILECO I, etc. Water: Manila Water, Maynilad, San Jose del Monte Water, Sta. Maria Water, etc. Landline: Bayan Phone, Globelines, PLDT, etc. Cable TV: Cablelink, Cignal, Global Destiny, Sky Cable, etc. Internet: Converge ICT, Globe Broadband, PLDT My DSL, Smart Bro, Sun Broadband, etc. Government: Pag-IBIG Fund, PhilHealth, SSS, etc. Visit any Bayad Center branch and inform the cashier that you’ll be making a bills payment. Present your bill or statement of account. If you don’t have it, the cashier will give you a Bayad Center Transaction Form. Fill it out and make sure to double-check the Biller, Account Number, ID Number (for government bills), and Payment Details. Provide a contact number, too. Submit your accomplished Transaction Form and payment. Wait for your receipt. Regular pawning and money remittance customers of Cebuana Lhuillier can also easily pay their bills at one of its 4,000 branches nationwide. All Cebuana branches are open seven days a week. Their business hours vary per location, with some opening as early as 7 am or closing as late as 9 pm. The pawnshop has six branches that are open 24 hours daily in Makati City; Imus, Cavite; Angeles City, Pampanga; and Olongapo City, Zambales. Telecommunications, internet, and cable: Cignal, Converge ICT, Globe, Globelines, PLDT, Smart Bro, Sun Cellular, etc. Utilities: Meralco, BENECO, VECO, etc. Go to any Cebuana Lhuillier branch. Fill out the Pera Padala Transaction Form. Submit the form together with your statement of account and payment. Cable and internet: Cablelink, Cignal, Converge ICT, Smart Bro, SKY Cable, etc. Power: PELCO1, PELCO II, PRESCO, Tarlac II Cooperative, VECO, etc. Telecommunications: ABS-CBN Mobile, Bayantel, Globe, Globelines, PLDT, Smart, Sun Cellular, etc. Water: Manila Water, Maynilad, PrimeWater, Sta. Maria Water, etc. Present your bill or statement of account. If it isn’t available, fill out a payment slip. Hand over the slip along with your cash payment to the cashier. Wait for your transaction slip. Paying bills at an SM mall is a very convenient option for busy professionals who can do so only after office hours. The bills payment counters at SM malls open daily (including weekends and holidays) at 10 am. The cut-off time is 8 pm. All SM Bills Payment counters accept cash and check payments, depending on the biller. For example, Cignal TV allows check payments, while BPI requires only cash for paying credit card bills. Credit cards: BDO, BPI, Citibank, EastWest Bank, HSBC, Metrobank, PNB, Security Bank, etc. Utilities: Meralco (accepts late payments without disconnection notice), ILECO 1, PECO, Manila Water, Maynilad, etc. Telecoms: Globe, PLDT, Smart, Sun Cellular, etc. Cable and internet: Cablelink, Cignal, Destiny Cable, SKY Cable, etc. Go to the nearest SM Bills Payment counter. If you’ll transact at the SM Business Services Center, get your queue number from the automated numbering machine and wait for your turn. Ask the cashier for two copies of the BPS Validation Slip. Fill them out, making sure to add your contact number and signature. Submit your bill or statement of account along with your slip and payment. Wait for your acknowledgment receipt. Besides SM, mall-goers may choose to pay bills conveniently at a Robinsons mall. 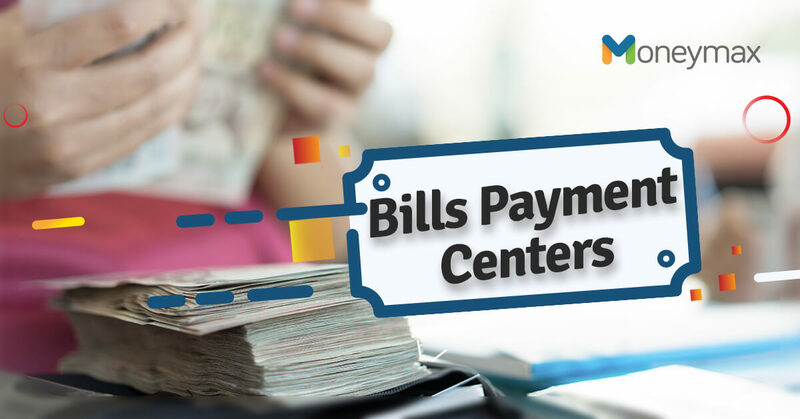 Located in all Robinsons Department Stores nationwide, the Robinsons Business Center accepts bills payments daily from 10 am to 7 pm. Cable TV: Cignal, Cablelink, SKY Cable, etc. Internet: Bayan Broadband, Globe Broadband, PLDT My DSL, SKY Broadband, Smart Bro, Sun Broadband, etc. Electricity: Meralco (accepts both current and overdue bills), ILECO1, VECO, etc. Some of these bills payment centers post payments in real time, while others take three working days after the payment date. To ensure timely posting and avoid missing your due dates, make sure to pay your bills at least three working days before your due date.